Let Me inspire Your Group! Let's get personal and keep it real. Sarah speaking at the b.bona.fide event in LA, 2017. 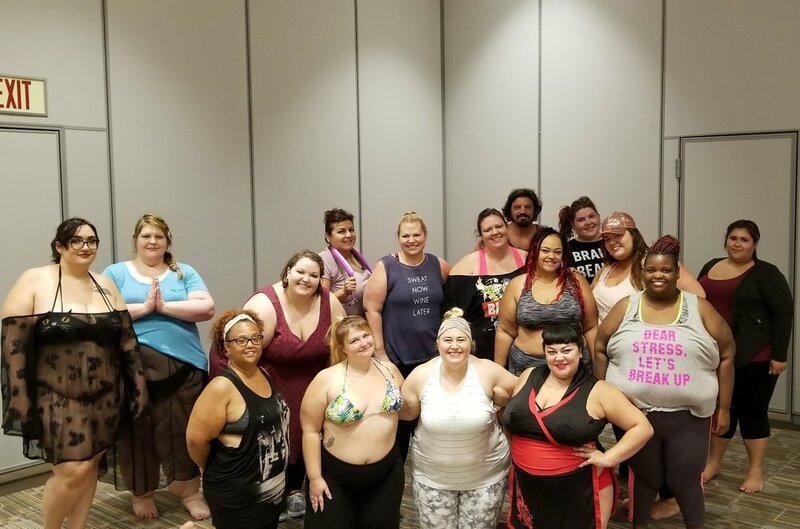 Body positive and size acceptance events. Can We ALL Love Our Body? How to Live your #BeGreater in the Face of Challenge. How to Have your “Best Day Ever” at Work. Being your Beautiful, Bada*s, Weirdest Self. Ditch the Diet Culture; How to approach weight loss with LOVE. Mindfullness; What is it and Why should I Care? Shoot me an email at Sarah@DevelopedNarrative.com! 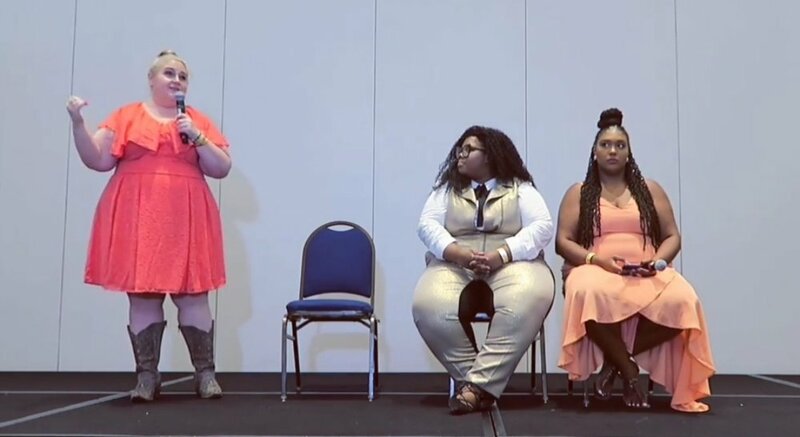 Speaking at the girls for a change summit. As the keynote speaker at our Girls For a Change Summit at Montana State University, Sarah Sapora rocked the house! The GFAC summit is an annual event here in Bozeman Montana that brings in girls grades 8-12 from all over the state. 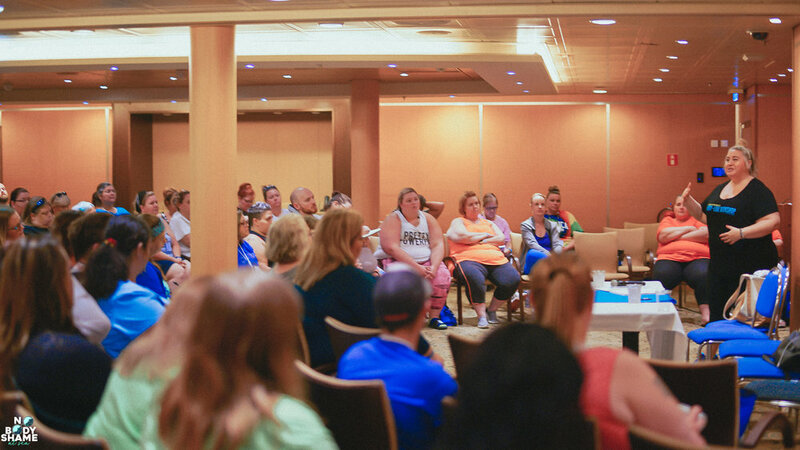 We are always looking for dynamic speakers who can help our girls understand their unique value, learn self-love and see their higher potential. Sarah was the perfect woman for this job. Sarah easily connected with the girls and her speaking and presentation style engaged a population of teenagers that can be hard to reach. Sarah’s style included the girls in the discussion and allowed for all of the girls to have their voices heard and ask questions. It was clear the girls would have listened and interacted with her all day! As the organizers we had to keep the day moving but most of the girls lingered to take pictures and give hugs and sneak in a few more questions. Sarah was great to work with and she was very responsive to communication prior to the event and worked hard to make sure her keynote speech was in line with our demographics and our goals. 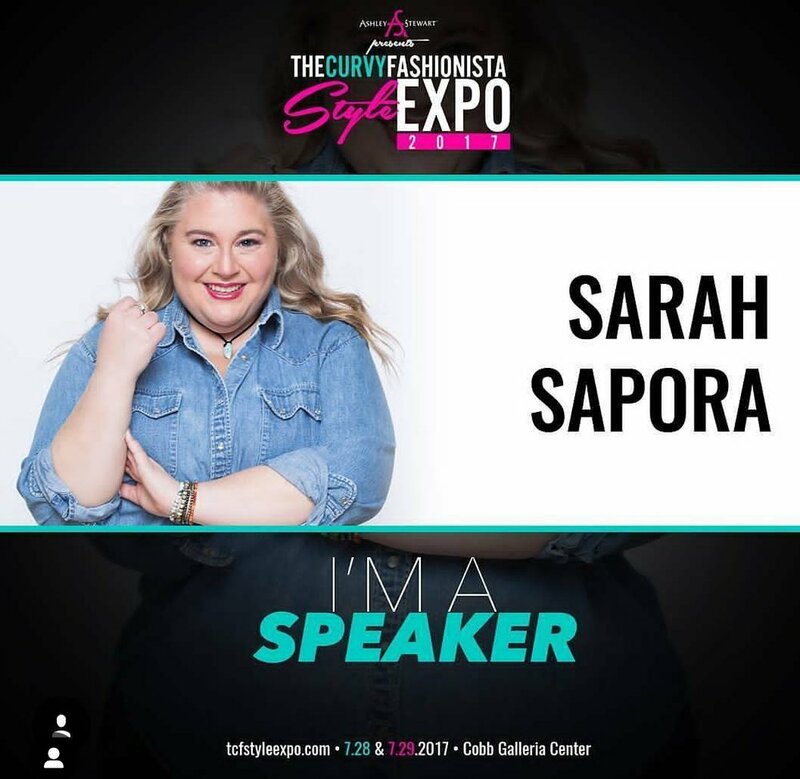 I would highly recommend Sarah as a keynote speaker or presenter at any event where self-love and wellness was the focus. Everyone will benefit from the opportunity to share space with her and hear her unique voice. 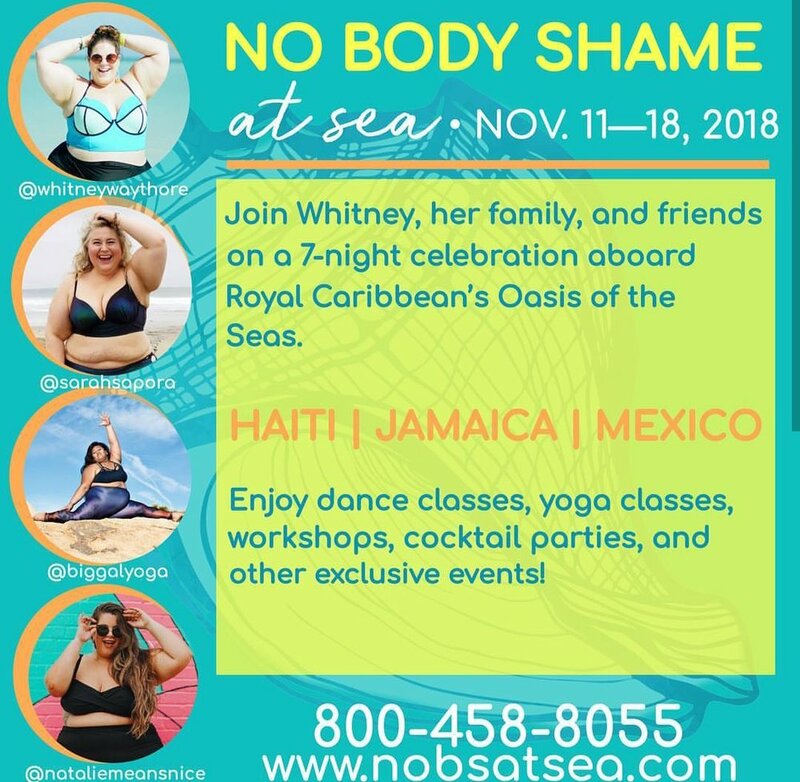 I have had the pleasure of working with Sarah Sapora for two consecutive years, as she joined me as a guest speaker and Kundalini yoga teacher on my No Body Shame at Sea cruises. Sarah's enthusiasm for her work is obvious, and she easily connects with people from many different walks of life. Sarah's passion for others and her willingness to dive deep enriches the experience of everyone with whom she works. It is always a pleasure to work with Sarah. 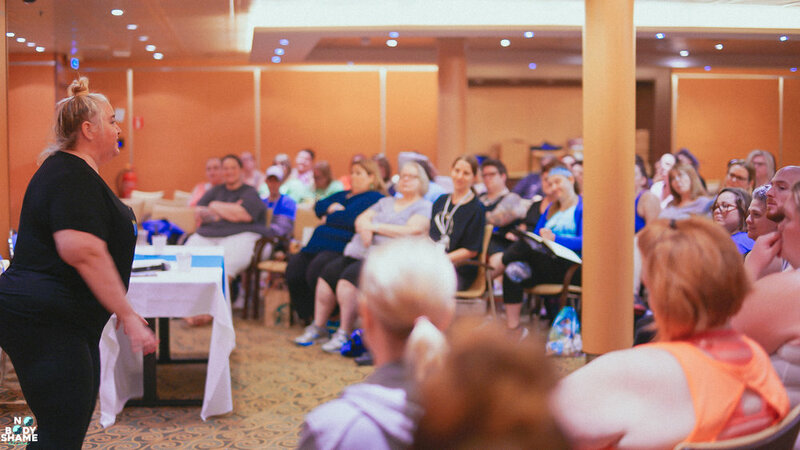 Body + Love Workshop, 2018 in Las Vegas. The video from my 2017 Body + Love Workshop live in LA. Delivering a talk at the B.Bonafide Event in L.A, talking about how to create your greater life one small step at a time.